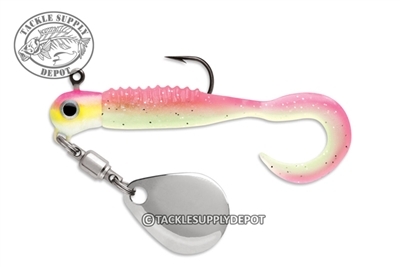 The Curl Tail Spinnerbait has it all, weedless flash and vibration. Equipped with a premium VMC power gap hook that has a 5% wider gap than traditional jig hooks. It comes pre-rigged with a Trigger Curl Tail body. The long micro-thin tail swims with a light and subtle vibration.